Time is winding down quickly to enjoy this year’s MoMA/PS1 Young Architects Program installation. The winner of the 2018 program is Dream the Combine, the Minneapolis-based architecture duo of Jennifer Newsom and Tom Carruthers. 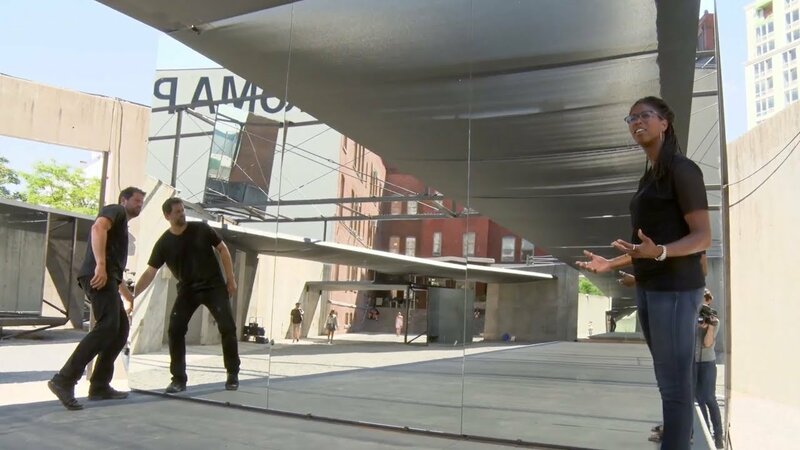 Working in collaboration with engineer Clayton Binkley of Arup, the installation “Hide & Seek” is a responsive, kinetic environment featuring intersecting elements and paired mirrors creating infinite reflections arrayed across the MoMA PS1 courtyard. For this video, Newsom and Carruthers walk us through the installation, talk about the inspiration for it, and what it means to them to win the commission. Hide & Seek is on view at MoMA PS1 through September 3, 2018.